A USB Drive saves your important files, but what if gets broken? Sure, you can buy a new one but what if you had important data in the last one? This happens and following we are going to show you how you can salvage the data from a broken USB stick. Do you want to recover files from your corrupted USB Stick? Considering that, we are going to recommend you use a free deleted file recovery software. You need to download this software before starting the recovery. 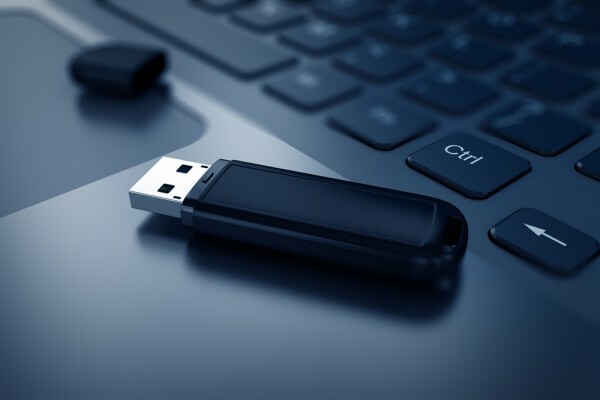 If the Memory stick was damaged but not physically broken, you can try to use this provided software to get files off your USB stick But if your computer longer recognizes the USB stick, then you need to go to the Windows Disk Management and assign a drive letter to the USB or try changing its connection port. Most people want to recover data from their USB drive without losing a single bit of Data. If that’s the case with you, then you are better off using a Recovery Toll. You can hire someone professional to do this for you, but they will charge you a huge sum. How To Recover Your Data? Go to Windows Disk Management and see if you can find the broken USB Stick there. If you can make it appear in the list, you can use the data recovery tool to recover files off the USB Drive. If the USB is not showing in the list, then you need to change the BSA port or refresh the software a few times. Once connected, keep the USB plugged in to recover your data. Now select the broken USB and Start Scan. Wait for the Scan to find your files before doing something else. Once the scan is completed, you need to go through the recovered files and browse for data you want to recover. Now choose the files you want to recover from your broken USB stick. Click the Save button to specify the target destination. You have to be careful enough when using the Free Data Recovery Software for Windows 10. Make sure you are using the full version, not the preview version. This is because the previous version doesn’t let you recover files, it only shows you the files you can recover. You need to use the full paid version to do that. You can try and fix the USB Stick by using the Windows built-in Disk Management Tool and CMD. Note, it will only work if there is no physical damage on the USB Stick. Don’t worry you don’t need to lose your sanity to do this with your Windows tools; you can easily do it with the Check File System that comes in the data recovery tool. Just make sure your Flash Drive is still readable because fixing an unreadable drive needs a whole other guide. We have tried with the best of our abilities to explain how you can recover data from a broken USB drive. We went to the extent of explaining different methods to do it. You can save your data by using both the Window’s built-in tools or using a third-party application, which we provided.